Keeping your home properly sealed is a great way to ensure that it’s using energy efficiently, and if you know where to look finding and sealing air leaks can be a quick and simple task. 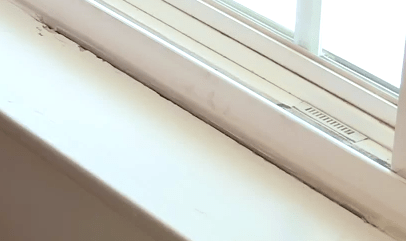 One of the best places to start looking for air leaks in your home is around your door and window frames; if you’re unsure whether or not your door or window frames have air leaks just follow the steps in this article on how to identify air leaks. 1. Prepare the area to be caulked. Depending on your air leak you may need to remove the old caulking solution before applying the new one. Simply take a flat head screw driver and gently pry up the old solution and peel it away. 2. 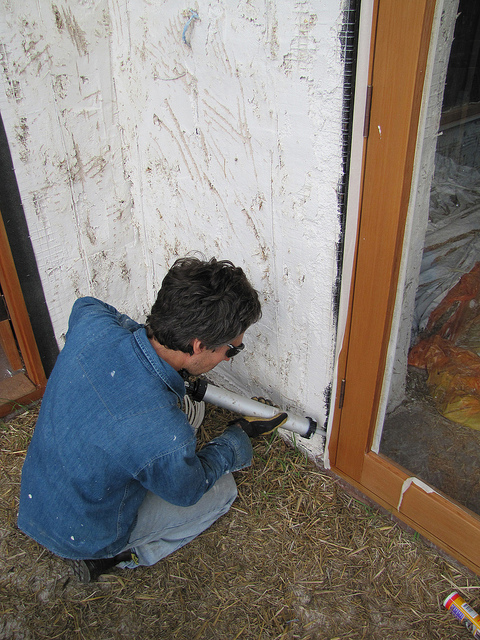 Prepare both the eco-caulking solution and caulking gun. Take your eco-caulk and box-cutter (or scissors) and cut the tip of the caulking solution at a 45 degree angle. This will help to ensure that the caulking solution applies evenly. Once you’ve prepared the caulking solution, load the canister into your caulking gun. 3. Lay a thin bead of eco-caulk over the air leak. Now that you’ve prepped the air leak and loaded your caulking gun with eco-caulking solution you’re ready to seal your air leak. Simply take the caulking gun and hold it at a 45 degree angle at the top of the air leak. Gently compress the trigger of the caulking gun to release the caulking solution and slowly work your way down the air leak until it’s completely covered. 4. 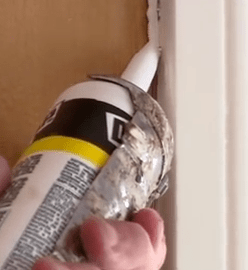 Smooth out and remove any excess caulk. Now take your finger and smooth out the caulking solution till it appears as one continuous bead. Once you’ve done that, take your damp rag and remove any excess caulk from your door or window frame. By now your door or window frame should be properly sealed and your home should be both more comfortable and energy efficient! The caulking solution can take up to 24hours to set and dry fully, at which point you can add any touch up paint if needed. By installing the Indow window inserts throughout your home you could see a decrease in your heating and cooling bills by as much as 20%! While this may not be the case for most consumers, even a slight decrease of 5% will make a big difference over time. Another way you can eliminate drafts throughout your home is by using draft snakes at the base of your doors. These don’t have to be anything fancy (even a rolled up towel will do the trick), but you can also buy draft snakes from places like Home Depot that will fit just about any door. If you’re looking for more ways to make your home more energy efficient, check out our green home improvement projects: Green Living Ideas, after all, is a top 20 home improvement website!